OK, I’ve been giving some serious thought recently on how to move my own personal business forward whilst at the same time offer great value for money… not only to seasoned marketers and webmasters BUT also newbies. Especially to people who are just starting out in internet marketing and do not have large funds to invest in software, tools, networks etc. Well this got me thinking. I’m in the process of developing a number of small software applications. I currently have a list of 12 to create and I’m just finishing development of the 2nd new app today. These are all useful tools that can be used by you ‘the marketer’ every day and help with common tasks such as keyword research, niche research, URL scraping, blog finding, Bulk PR checking etc. I thought to myself… what if I didn’t sell these applications… BUT instead offer EVERYTHING I have created along with future software applications and products for a LOW monthly cost on a subscription basis. ie – Instant access to every product for one low fee. OK, so what will the benefits be? All subscribers will have FULL access to all the software, systems and networks for as long as they stay subscribed. Will I get access to Article Writer Pro v2.0 and the content network within this one subscription cost? Yes, all subscribers to this new service will get instant access to Article Writer Pro v2.0 along with unlimited access to the content network, all within the $17 subscription cost with no other upfront fee’s. The same applies for Easy Article Rewriter Pro and other software. What if I already subscribe to Article Writer Pro v2.0 and the content network? No worries… you will soon be able to access ALL the other software as well as future software releases. So, no need to change anything as you will automatically become a new level subscriber. A simple but powerful desktop application that allows you to instantly analyze the top ranked websites for ANY keyword phrase. 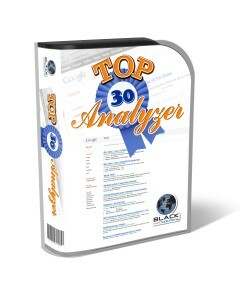 The software will access EACH ranked page and check the onpage elements to see if they are optimized for that keyword. It will also check the site and page PR and then perform a calculation to identify how EASY it will likely be to rank for that keyword. The software also allows you to paste in a long list of keyword phrases. You simply click a button and let the software process ALL the keywords for you. This simple software app allows you to enter any domain name which the software will then thoroughly crawl, accessing the top three tiers of the website. This is great to identify the crawlable URLs of a website. This tool can be used in conjunction with link building software.. or even my very OWN Index Checker v2.0, so you can find out ALL the actual URLs of your site / blog and then check which ones are NOT indexed in Google. Lots of uses! The reason for this blog post is to get some feedback. Do you think this subscription type service would be attractive to internet marketers… both new and seasoned? Can you see the benefit of one low monthly fee rather than paying out for individual software as it is released? Please bear in mind that users are already paying $17 per month just to use my content network via Article Writer Pro v2.0. So, what I’m essentially doing is including access to everything I do for that same fee. Basically, everything else is a bonus. My vision is to create an unbeatable low cost subscription service for a monthly fee that will fit into every marketers budget. It would be great to hear your views on this by posting a comment below. This will help me determine whether this is a viable route to go down. I for one would certainly be interested in the monthly payment plan. Let me know if and when you decide to implement this idea. I’m not a big fan of subscription services, and I wonder how it would work. If could hurt you if people subscribe for a month or two and download all the apps. Or it could hurt subscribers if it is set up so your apps quit working if we ever unsubscribe. After maybe being members for years, something could happen to disrupt the subscription. So, I guess a lot depends on how the membership is set up. As there will be ‘no’ purchase fee’s involved for any of the products.. it will purely be on a subscription basis. That means that if you unsubscribe then of course, the apps will become disabled. For as long as the member pays the small monthly fee, all the apps will work and they will be able to gain instant access to all the new apps as they become available. I think this is a good idea as others do this but the problem is that they charge too much monthly fees, and I am not saying that it is not worth it, but to think that I am paying out $37+ dollars a month for this stuff does not sit well with me, considering our economic situation in this country, and how careful you have to be with funds. So even though I know I am losing out on valuable use of software, information and videos, the fact that my money is still in the bank, over rides anything that can be offered to me. This appears to be very reasonable and certainly worth considering. Yes, for 2012 my goal is to focus purely on VALUE. I want to do something different and offer a low cost service whilst keep adding value to the service by adding more apps and services. By opening up the service at $17 per month it will make it affordable to most internet marketers as there will never be any large upfront fee’s. All they pay is the one $17 monthly fee and providing they stay subscribed they will benefit from all the products and gain access to all new and forthcoming products. I plan on introducing new apps on a consistant basis which will in turn keep adding great value to the service. I would also plan on investing some of the funds back into the service to enahnce it further. It is because of the current economic crisis that it gave me the idea of offering such a service. I would rather have more subscribers who pay $17 per month than far fewer paying a more extortionate fee. I would rather more people have the opportunity to join this service and access tools that can help them. I have read lots of threads on marketing forums recently with people, especially newbes saying that they only have very limited funds to be able to purchase tools or services. This gave me the idea of providing something like this at a monthly price that ‘most’ could afford. I’ll also be sharing my ‘experiments’ and ‘strategies’ with my subscribers in the private forum. Idon’t just want people to subscribe for the tools… I would ideally like people to get involved and to share tactics within the group. Yes I would be interested in this type of subscription as long as I felt it was going to grow. I have seen to many of these where the owner has lost interested and after a couple of apps nothing happened except signing new members and promising further development. I understand where you are coming from Rick. The idea behind this is that this will be my main business model and will therefore focus my efforts on this service ‘as a whole’. When people subscribe I would like them to stay subscribed and therfore understand that for this to work I need to keep the service fresh and ‘innovative’. My basis is that the content network (for link building) is worth the $17 monthly fee… so everything is will be pure value… and I will plan on adding to that although idea’s from subscribers for new app ideas would be a bonus. A kind of collective pool for everyone to benefit from. I like it! As one who is already subscribed to Article Writer Pro, I think a low monthly subscription of $17 for even more great tools is a complete “no-brainer” for any internet marketer. I commend you Andy on your efforts to provide the most value possible in your products and services. I’m not a big fan of subscription services or web based software. I had rather weight out if I think the product is worth the puchase price which needs to include lifetime updates, I buy a lot of products (probably to many) and when I spend my money I like to own the product. Hi Stacy.. thanks for your input. I understand that some people do not like to subscribe to services and often people who subscribe to such services are often established marketers.. or are at least currently earning an income online. What people need to think about though is that internet marketing is a business. With any business you WILL need to invest money… whether it is upfront purchases or subscriptions. The idea behind my service would be to offer lots and keep adding to it… whilst keeping the one monthly fee low. That way subscribers will know what they are paying out and they have the peice of mind that they will not have to pay out any more than the $17 per month to be able to access or download all of my products. Well, from me anyway. That membership sounds pretty reasonably priced. Would Link Abyss also be a part of this membership as well? How is Link Abyss different from the content network you are speaking of? I own Article Writer pro, how do I find out more about the content network for $17 a month? Is there a way to track your published URL’s on the content network for further back linking? Ok, Yes.. Link Abyss would be included in the subscription service as it would add lots more value. I developed Link Abyss a couple of years ago now so I would need to add a few tweaks and create the training for it. The reason why I have never launched Link Abyss up until this date is because I haven’t been 100% sure of it. Part of the system is automated… part requires you to manually place the links… and at the time a few FULLY automated systems came out so I put it on hold. The good thing with Link Abyss is that it will track everything for you. It also allows you to build a diverse range of backlinks. ie – Sitewide links, inner page links, link page links and it also allows you to place links on niche specific sites. This product WOULD be included though and will hopefully make the subscription even more valuable. 3. $5/month membership that involves courses on the site, web keyword research and forum. The initial fee was $10 but when one member of the forum was offering an IP ban service for $5, the owner of the course reduced it to $5. From the list above, so far, only the $5/month service gives me money back. The $1,000 & $67 are still money on the drain that I am still trying to figure out to get back my investment. While, other softwares I use sometimes but most of the time, I don’t use it. What I am trying to say, it’s ok to offer your apps monthly as long as the members will get more money out of its use. Although, you might assess $17 is so low compared to other membership sites that offer $47,$97, $147 monthly membership for softwares, I won’t subscribe to it until I have 10 or 20 websites that will use the applications because paying $17 to use for one website is expensive. The price really depends on what your going to offer. While $17 per month isn’t very much it will depend on what you develop is different than what I might already own. Yes, I agree. I’m going to try and be diverse with the included product range.. and obviously add to that range over time. If I could wrap my current subcriptions into this new one it would be a no brainer. I’ve invested in you re-writer (tis a good tool-be better if it had a proof reader). I’ve got everything I need. Personally I use SENuke and this is a great piece of software once you learn how to use it properly. However it is on a subscription as is very expensive, so if you were to create a piece of software this good for $17 per month, then I would jump at the chance. Yes, SENuke is good for what it does and ‘if’ used properly. I’m an SENuke user myself. Some of the tools I will be creating can be used with SENuke. For example my last app.. Index Checker v2.0 is perfect for SENuke X as you can paste in a llist of URLs that you built link on.. then paste in another list of links to search for within the first URLs. The app will then report which URLs are valid and contain your link (ie – DOFOLLOW)… then you can check the indexing status of those valid URLs with one click. You can then choose to send the non-indexed VALID URLs to your indexing service with one click. Basically, there will be tools that will enhance other products and services that you already have. Getting a bundle of apps for one cost monthly may be good for some and not so good for others. However, putting everything together, it will be beneficial to users to pay once and enjoy all the services on offer. Wishing you well in 2012.
there would have to be several apps in the membership site before I would sign up. you mentioned 12 ideas in the pipeline, can you mention what some of them will do. that way I can see if I am interested. The apps will mainly focus on one or two tasks each. Members will be able to run a few of these apps at the same time and link their useage up.. ie – generate some URLs with one app and process them through another app. The apps will be based around keyword analysis, competition analysis, link building, extraction etc. Also, the idea behind the private forum and building a private community is so that members can share their thoughts on what they would like creating and adding to the ‘app library’. Hey Andy,this sounds good and the price seems reasonable. I like the idea of sharing tips and having access to case studies. My needs are more focused on plr types of software, like a calorie counter that I could rebrand and sell or give away to get offline clients in fitness businesses. Maybe you could consider this as a premium level for those of us who don’t have those skills. In any case you have my positive vote. That’s quite a good idea. I’d certainly be open to ideas for this kind of thing. I would evaluate the package as to whether or not it would help increase my profits by more than the cost. In other words, sounds like a great opportunity to me. Similar program I was with was Incansoft’s. From their model, perhaps this will include an affiliate program for us as well? As in an affiliate program for this subscription service? Yes, I will be looking at putting an affiliate program in place. I would be interested in hearing more about this potential offer. I would in particular like to hear more about the content network. Hi, well the content network is already live and in operation. It is linked in to Article Writer Pro v2.0 so members can publish their articles and drip feed them throughout the network. So far there is only about 100 sites within the network although more will be added. I am also going to link the network into the backlinksindexer.com service so members have the option to get EVERY published article driven through the indexing service. The indexing rate for the network is already pretty good so this addition should only improve things. My company also builds links to the sites within the network.. including some of the inner pages. Current subscribers of the content network will automatically be included within my new subscription service so will get access to the new apps and tools as they become available. Thank you very much Andy, you rocks! Hey-Up Andy, what a great idea. Knowing the quality of your previous applications and sincerity helping technical dunderheads like me, I would certainly be interested in a monthly subscription. Only limited funds prevented me from purchasing each of your applications to-date and so a subscription would overcome that. It would also save me from wasting time and effort searching for applications I can’t afford anyhow. Sounds like a really good idea. Are the new apps going to be basic apps like Index Checker v2.0 that just perform 1 or 2 tasks or will they be more complex apps that you can just set up and off they go and do there thing whilst you do other tasks? Well, a lot of them will be apps that focus on one or two ‘stand-alone’ tasks. These though will still be click and ‘forget’. I will also develop some apps that are more complex.. or perform a series of tasks. As I have also already mentioned… if I can get my subscriber base up to a decent number I can then invest some of the funds back into the service to enhance it further. Andy, I don’t even know what half of the features of the products I’ve bought from you do and I’m still totally psyched about you releasing a system that encompasses all of your tools! I would be even more psyched if you’d do some webinars on exactly how some of the products you already have work (would be good also for your sales I’m sure ;-)) – I’m a visual learner and ‘just’ reading it when it’s something I’m not familiar with makes for slow (or no) going for me. Looking forward to the announcement of the service release :-D!